Hoya plants are tropical plants. They are pretty simple to care for and to maintain. 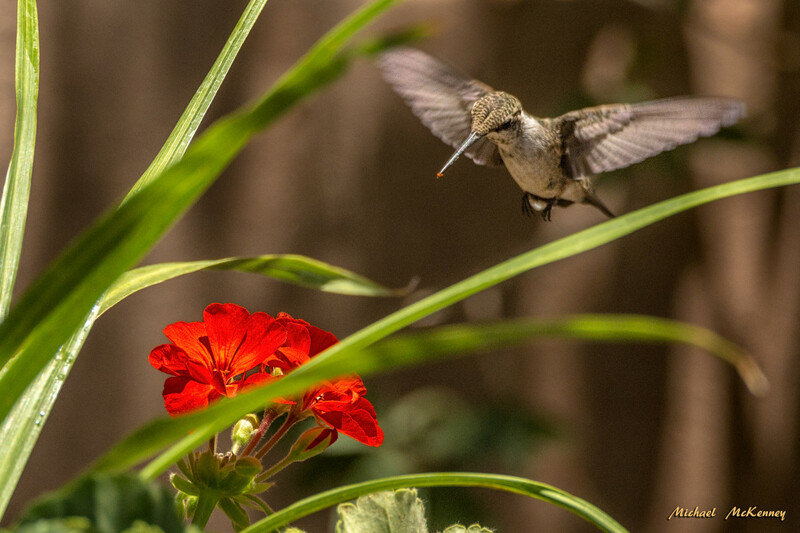 They are able to grow in low light conditions, but they require bright, indirect light or full morning sun in order to store up enough energy to be able to produce spurs, where the flowers grow from, and bloom. Hoya's need to be planted in a loose, quick draining potting soil. Because they are epiphytes (plants that acquire their nutrients from the air), you can mix potting soil and some perlite together to get a better draining soil, or you can mix your potting soil with some orchid potting mix. They need to be repotted about every five years or so. Because they love to be root bound, you only want to increase the pot size to the next available size when repotting. This way they have a little room to grow and new nutrients from the new growing medium, yet still feel snug. The peduncles the flowers bloom from are often referred to as spurs. Hoyas grow in zones nine to eleven, but, of course, can be grown as houseplants, as well. Hoya's need to dry out almost completely between watering's, and less water can be given during the wintertime when their growth slows down. 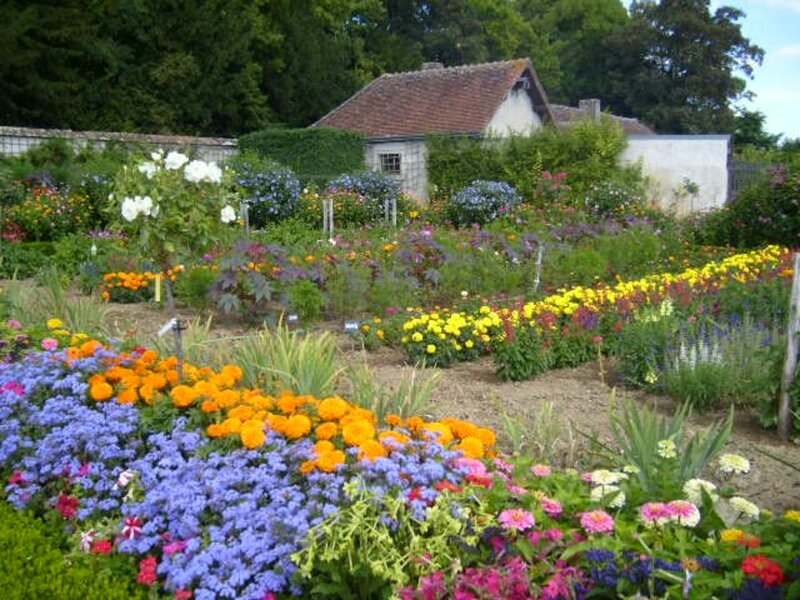 How much to water and how often will depend upon the medium they are grown in. Potted plants will need to be brought inside once temperatures drop to 50 degrees Fahrenheit or cooler. Being tropical plants, they thrive in a humid surrounding. Mist them a couple times a day with a standard household spray bottle filled with water. Grouping plants close together also encourages a higher humidity level, as does filling the saucer/dish beneath them with rocks and water. When pruning, you will want to avoid cutting off the portion of any vines that have a peduncle/spur on them. 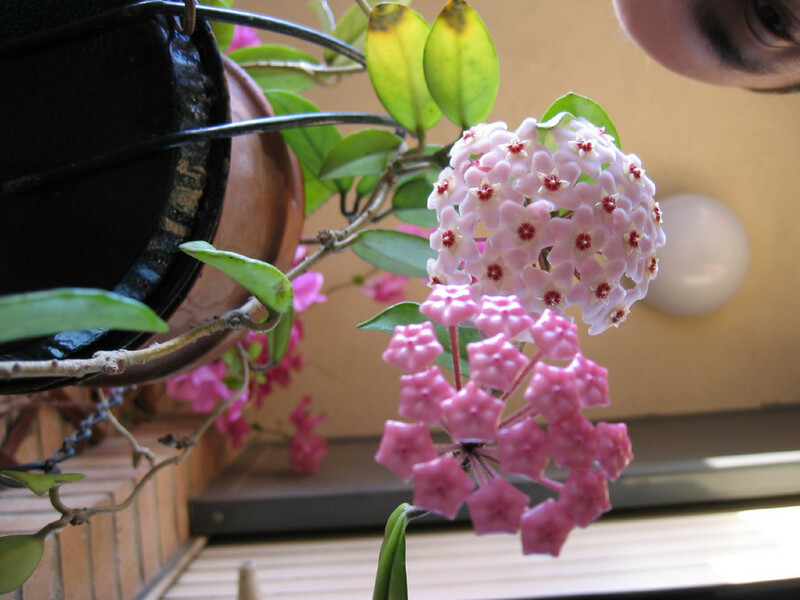 Each time your hoya flowers, it will be from either a new peduncle/spur or from an existing one. Every year the peduncle/spur grows a little and, in time, will produce larger flowers. If necessary, you certainly can prune a vine containing a peduncle/spur; it will encourage new growth and your hoya will have a fuller appearance with more branches, and, most likely, many will have peduncles/spurs on them. To prune, one only needs a pair of hand-held pruning shears. An angled cut between the leaves, just below a node (small swelling in the vine) is all that is required. 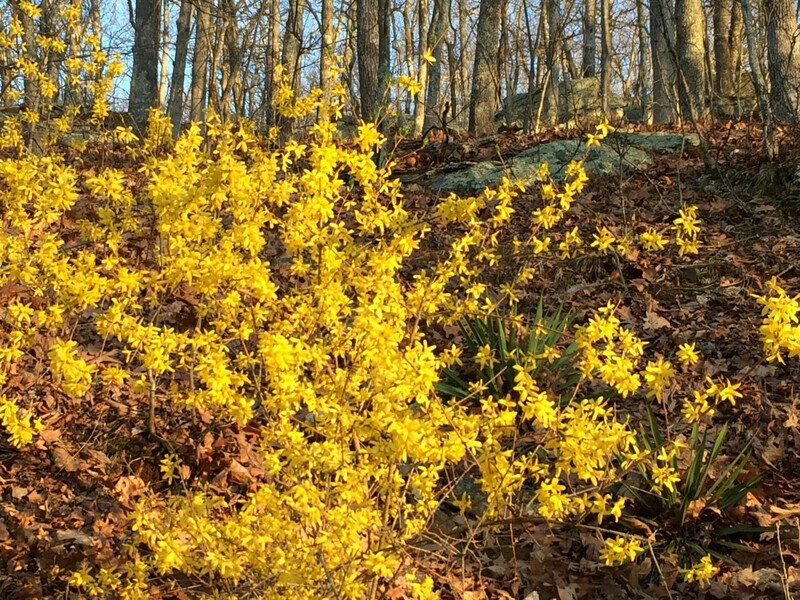 Never remove more than 1/3 of a plants total growth when pruning. Any leaves that look unhealthy may be cut off at the stem where it is attached to the vine. 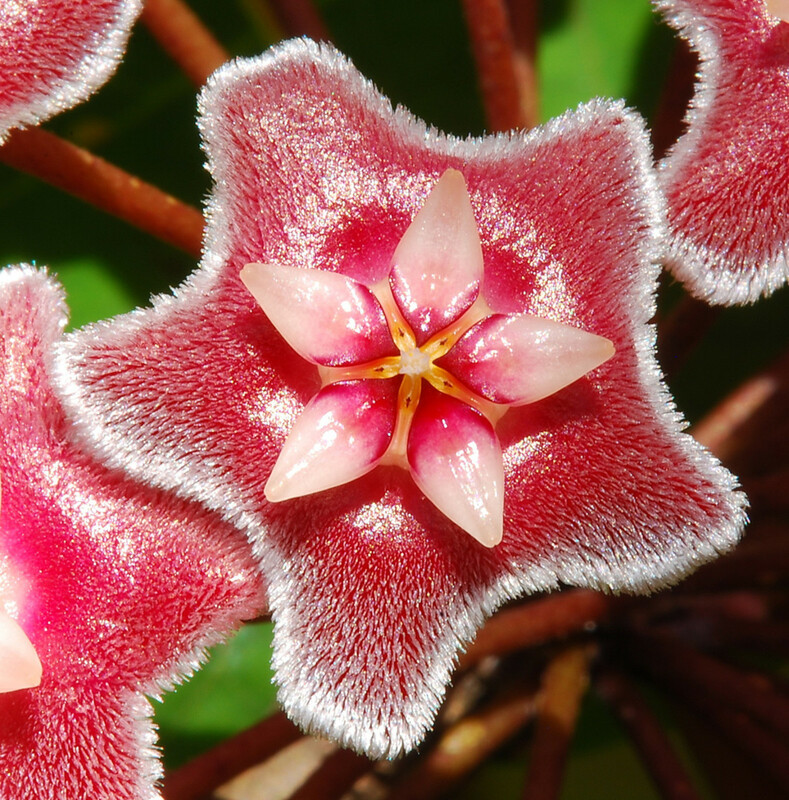 Have you ever witnessed a hoya in bloom? The hoya is an asexual plant. 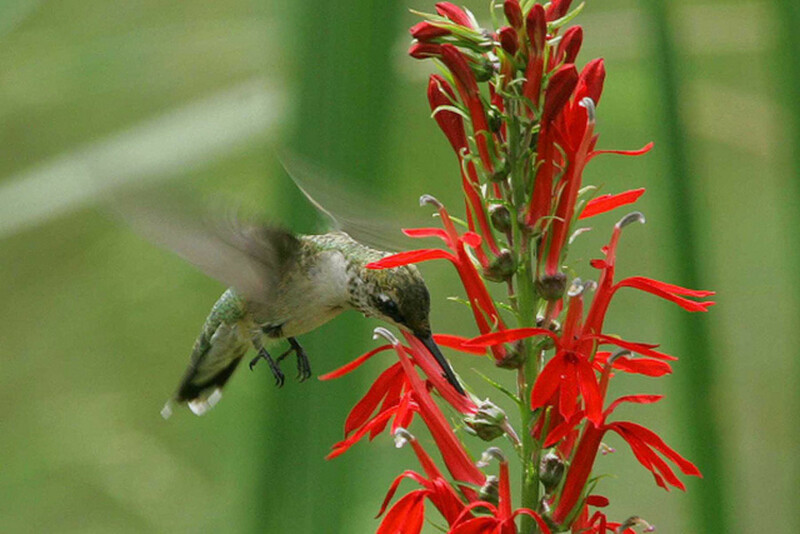 Pollination does not need to occur between male and female plants in order for it to multiply. 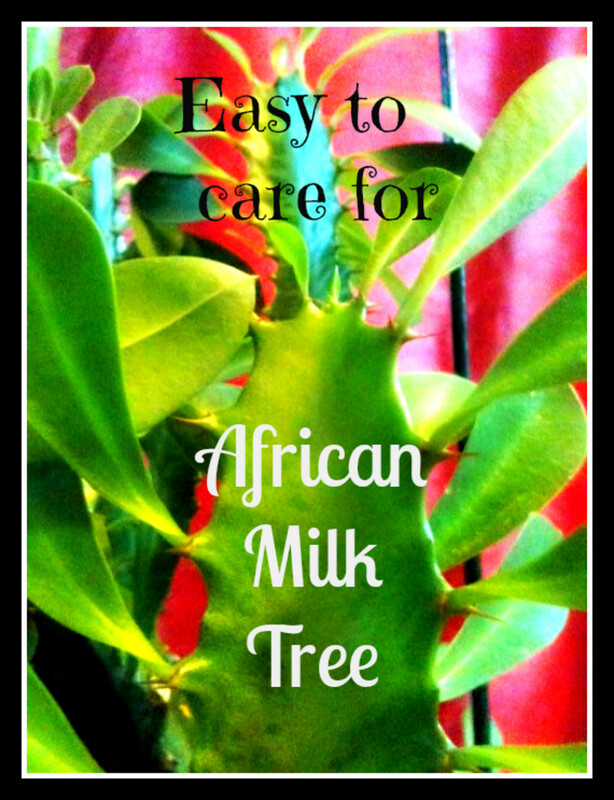 They can be propagated by root or stem cuttings. To propagate with root cuttings, you simply need to cut a small section of roots out during the dormant period. Then, you place the root section into a well draining compost and keep moist, not wet, until new growth appears. Once established, you may move it to a new pot. To propagate by stem cuttings, just like when pruning, you will make a cut with hand held pruning shears just below a node. The cut should be three to four inches in length. Removal of the leaves along the lower half of the stem will help the cutting focus its energy on growing roots. 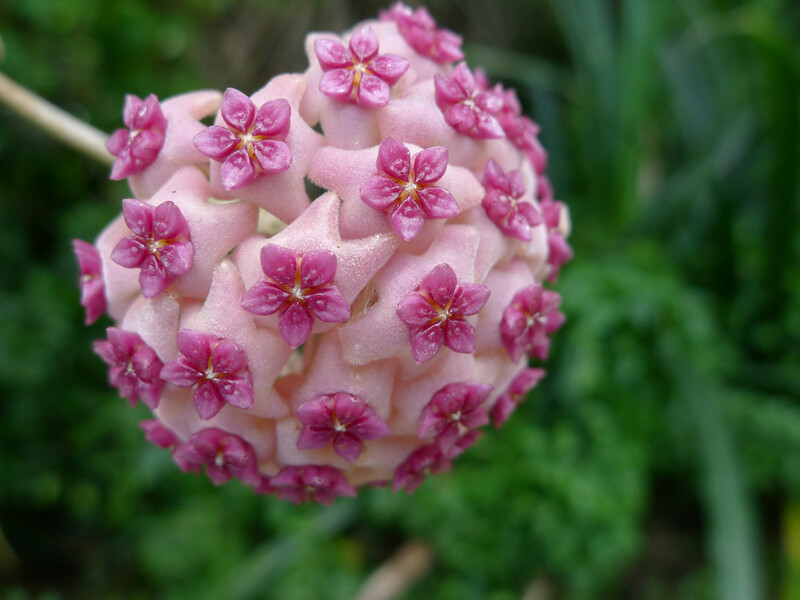 You may like to use rooting hormone on the cutting, but many hoya plants do not require it. Next, the cutting can be placed in the growing medium of your choice. The soil needs to stay moist but not wet. I have heard of people rooting hoya cuttings in a glass of water, but I have had no luck with this method. The Hoya plant is an unbelievably unique plant and it is as unbelievably easy to grow. It comes from the milkweed (asclepiadaceae) family. It has cascading vines and waxy, green leaves. It can be trained as a vine or grown in a hanging basket. 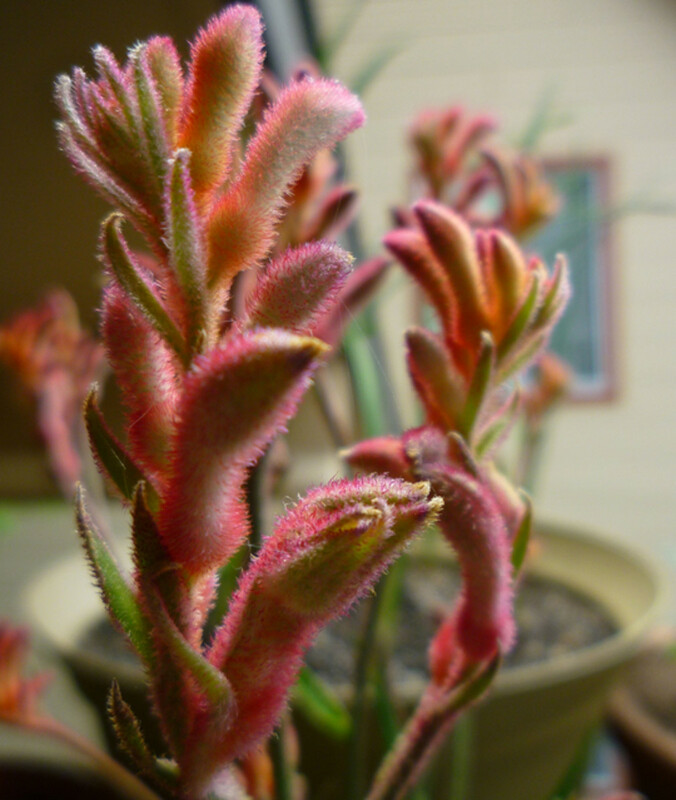 It is an asexual plant. As amazing as the foliage alone on this plant is, its real beauty comes from the clusters of wax-like, star shaped flowers it produces. 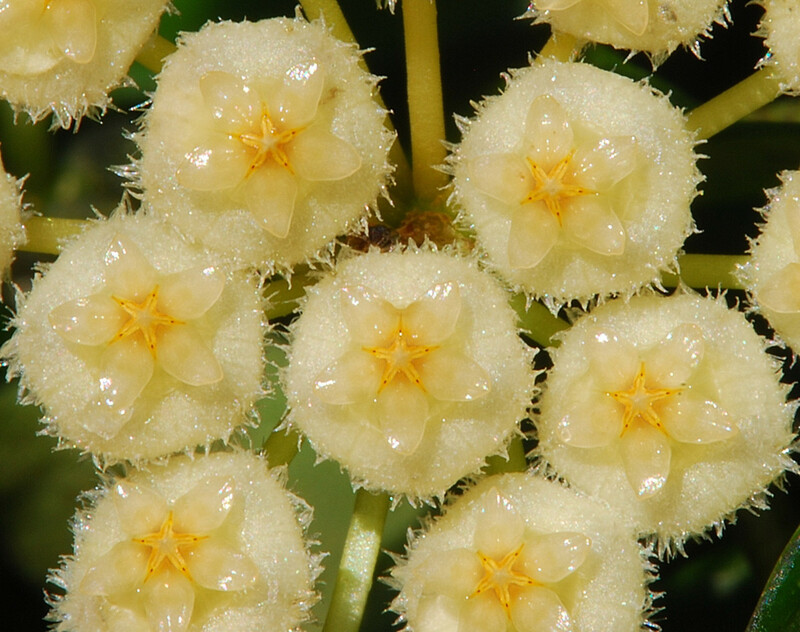 Each flower has a star shaped set of petals (the corolla) and an inner, smaller, star shaped flower (the corona) in the center. 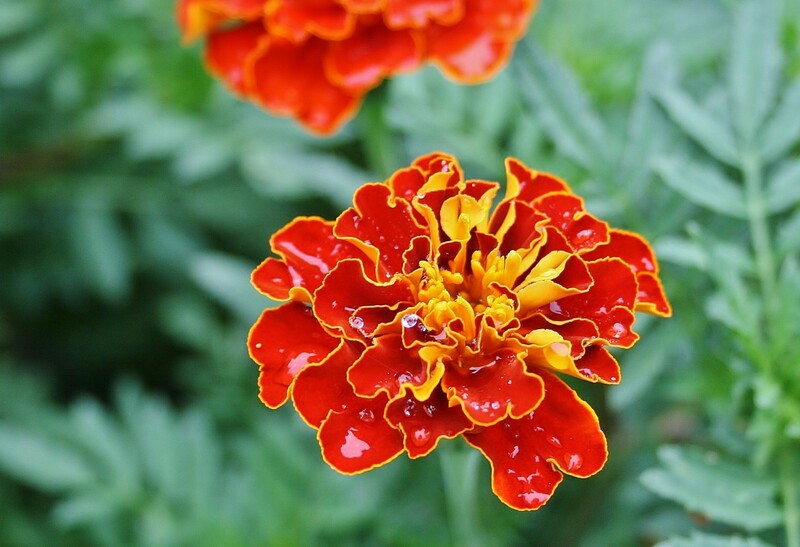 On first inspection, they almost appear as if they are artificial, because each flower is so perfect looking, but one quickly recognizes that is not the case once they smell these highly fragrant flowers. The hoya really demands attention when it flowers, and it truly is hard not to be in awe while admiring the up-to 40 small flowers adorned upon each umbrella-shaped peduncle they bloom from. It is referred to by many other names (depending on which variety you are referring to): wax flower, wax plant, Indian rope, angel rope, Hindu rope, porcelain flower, honey plant, and, my personal favorite (so far anyway), krinkle kurl, just to name a few. There are up to 300 different species of Hoyas. They are native to East Asia and Australia. I was given one of these plants and since I left it outside after a rain storm and brought it in, a lot of the "leaves" have turned yellow, dried up, and fallen off the plant. Is it dying? What an I d to bring it back to life? Yes, it should be fine outdoors. I only bring mine in during late fall and winter. Just make sure your pot drains well. I know that Hoya's do not like to be wet, but can I hang it outside where it might get rain, or maybe too much rain? I have a beautiful Indian rope plant I bought it for fifty cents and I didn't even know what it was ,it was two inches tall now it is five feet tall it bloomed twice for me but I did cut off the blooms , I did some research on it and hope to get lots of blooms . It truly is a easy plant to care for . I just started two new ones from cuttings they both seem to be growing . All I'm hoping for blooms this summer. I agree. 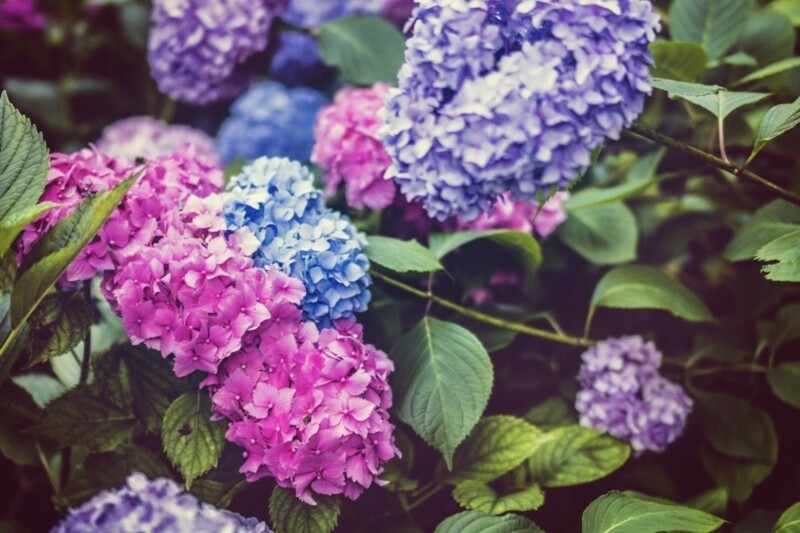 It is a beautiful plant. They make great houseplants. I live in Oklahoma, so I let mine hang out outside through spring and summer, then bring it in when temps get below 50. I hang mine by an East window during the winter. what a beautiful plant. I wonder if I could get it to grow in Tennessee?